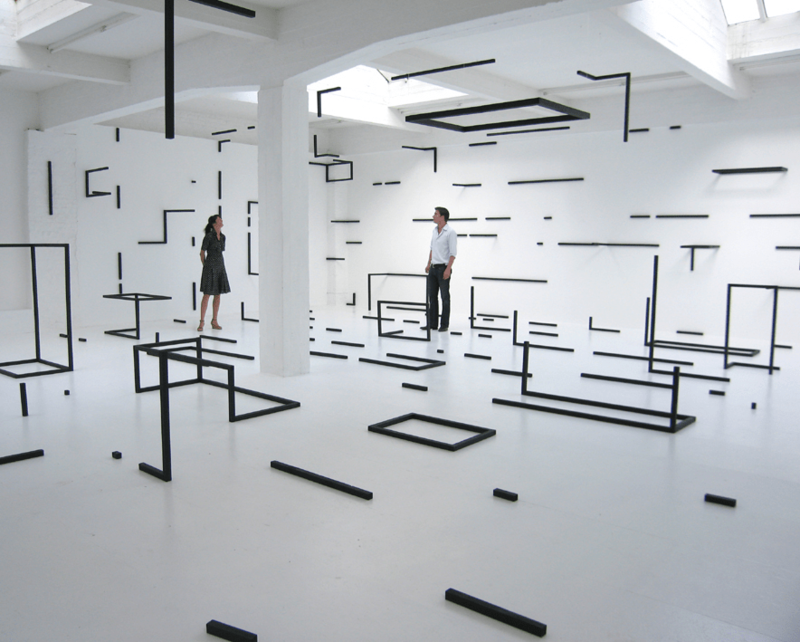 On Thursday, 3 June at 19:00 everyone is invited to attend lecture / artist’s presentation “Repairing Geometry” by Italian born Austrian artist Esther Stocker. The lecture takes place thanks to the generous support of airline airBaltic. Stocker’s paintings and installations are explorations of what isn’t – of what remains after the careful geometric demarcation of a blank canvas or an empty room. Seemingly simple geometric shapes are put together in a way that the viewer cannot say for sure if he or she is looking at a picture or standing in an installation. The viewer has lost orientation even before he or she can start to think about what orientation in the perceived could mean. 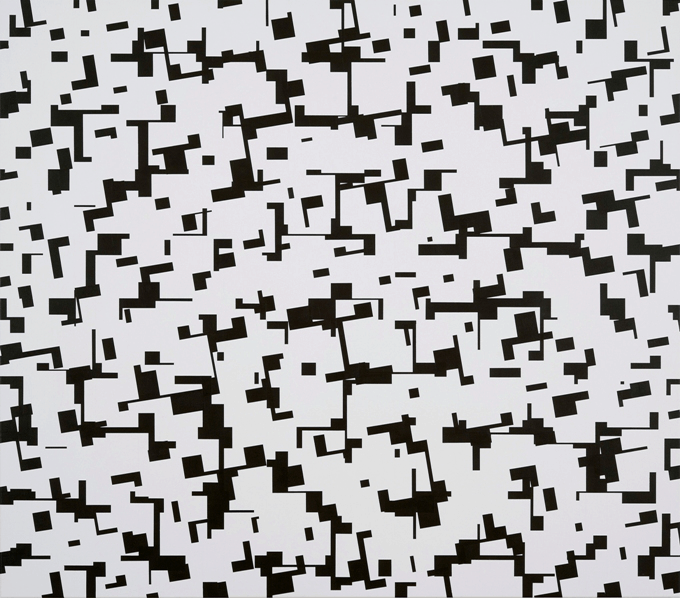 In her Stocker’s works, grids repeatedly come to the fore, while theories of human perception bubble under the surface. Born in Italy in 1974, Esther Stocker attended art schools in Vienna (Akademie der Bildenden Künste), Milan (Accademia di Belle Arti di Brera) and California (Art Center College of Design). Her paintings, installations and objects have been exhibited both in solo, as well as group exhibitions in Austria, Belgium, France, Germany, Italy, Spain, UK, US and elsewhere. Stocker has received a number of prizes, such as Preis der Stadt Wien in 2009, Südtiroler Preis für Kunst am Bau in 2007 and others.